Several villages produce the best ordinary wines, but Omodos, in the south of the island, prides itself for the taste of its wine. In the mid-18th century AD, the Italian abbot and writer, Mariti Giovanni, visited Cyprus. As with most travelers at the time, he duly recorded his experiences and observations about the island, not only referring to geographic and geological data, but also to the various customs, habits, cultural aspects and traditions of the inhabitants of Cyprus. Amongst his other writings, the Italian abbot, who remained on the island from 1760 to 1767, refers in detail to the grape harvest and the winemaking process which was prevalent at the time in Cyprus. Throughout his texts, he frequently expresses his views on Cypriot wine, with his most notable observation being that, while “several villages produce the best ordinary wines, Omodos, in the south of the island, prides itself for the taste of its wine.” Such was, and indeed remains to this day, the truly exceptional quality of wines which are ‘crafted’ by the dedicated producers of Omodos that in essence, they have neither anything tangible to gain from, nor any substantive cause or reason to envy their larger- scale counterparts in the European wine industry. 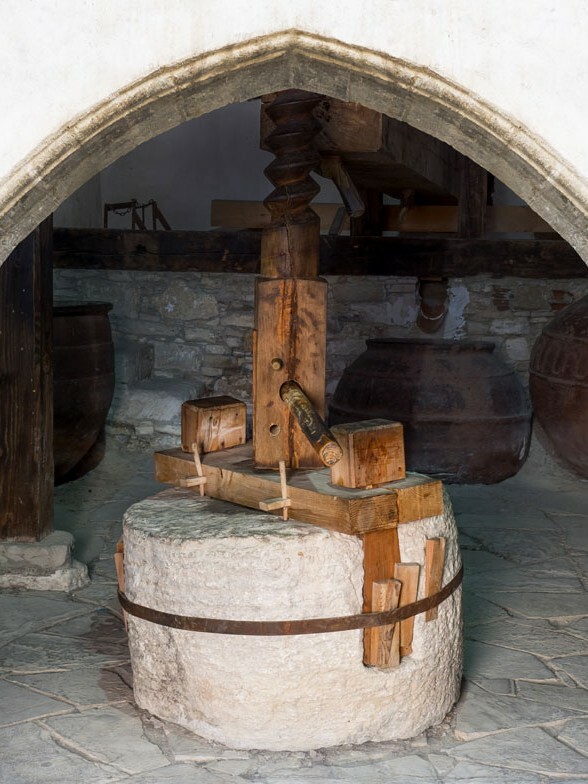 By virtue of its status as one of the most important wine villages in Cyprus, viticulture has long been the main occupation of the inhabitants of Omodos, a historical fact borne out and reinforced by the existence of the village’s medieval grape grinder which is prominently mentioned in documents dating back to 1469 AD. 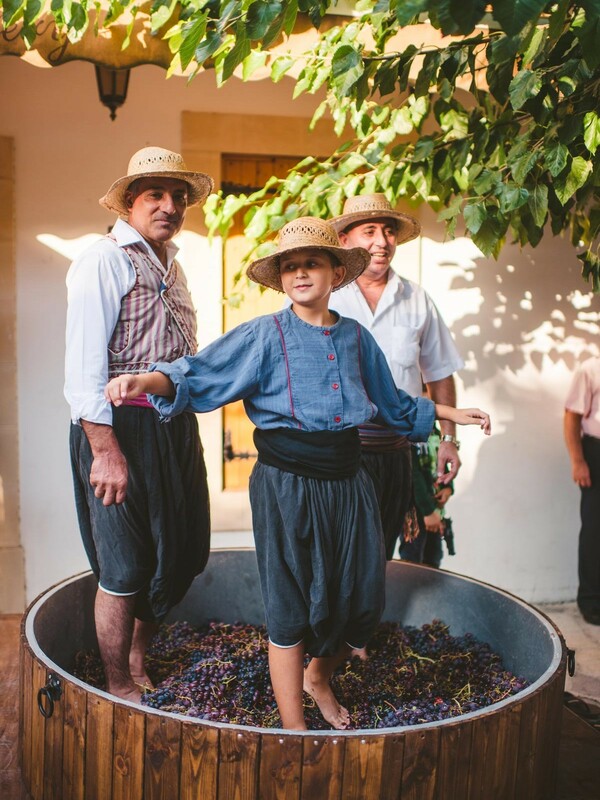 One need only pay a visit to Omodos to witness at first hand the strong bond, that has long existed over time, between the village and the age-old tradition of vine cultivation which to this day fuels the immortalised art of winemaking. The systematic layout of well-defined linear steps which grace the vineyards with their uniformity, the traditional drystone walls, and the vibrant colours of the plants which carpet the terrain, are key aesthetic features which contribute and add immeasurable value to the unique character of the mountain landscape. Under the most challenging conditions, the hardworking people of Omodos have been laboriously cultivating the land of the District of Limassol to create a vast landscape of lush vineyards which emit and liberally spread their pleasant and distinctive aromatic essence. A popular Cypriot myth graphically describes how the Sultan of the Ottoman Empire, Selim II -also known as “Selim the Sot (Mest)” or “Selim the Drunkard” and Sari Selim (“Selim the Blonde”), prior to conquering the island in 1571, declared his unequivocal passion for the Cypriot ‘nama’ of Omodos (a delectable sweet red wine traditionally chosen by the clergy for the sacrament of Holy Communion in Greek Orthodox churches), by remarking that “on this island, there is a treasure that only the king of kings deserves to possess”.